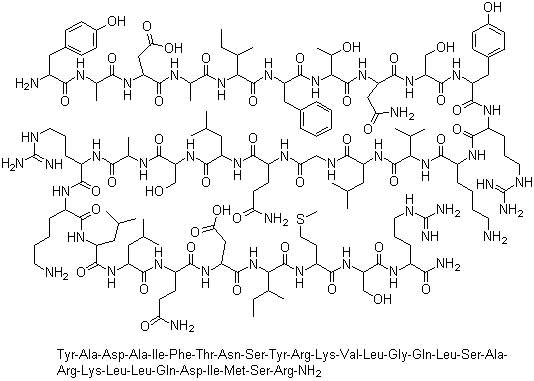 ACTH (1-39) (mouse, rat) is a potent melanocortin 2 (MC2) receptor agonist. Somatostatin is a tetradecapeptide which can suppress the growth hormone (GH) secretion and control the pituitary hormone secretion in human CNS. 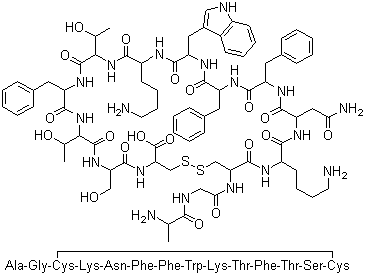 Sermorelin is the biologically active fragment of human growth hormone-releasing factor, consisting of GHRH(1-29)-amide. This N-terminal sequence is identical in several mammalian species, such as human, pig, and cattle. It is used to diagnose or treat patients with GROWTH HORMONE deficiency. Adrenocorticotropic Hormone , human is a melanocortin receptor agonist. Sequence: Ser-Tyr-Ser-Met-Glu-His-Phe-Arg-Trp-Gly-Lys-Pro-Val-Gly-Lys-Lys-Arg-Arg-Pro-Val-Lys-Val-Tyr-Pro-Asn-Gly-Ala-Glu-Asp-Glu-Ser-Ala-Glu-Ala-Phe-Pro-Leu-Glu-Phe;SYSMEHFRWGKPVGKKRRPVKVYPNGAEDESAEAFPLEF. MOG 35-55 is a minor component of CNS myelin. Produces a relapsing-remitting neurological disease with extensive plaque-like demyelination. Orexin A (human, rat, mouse) is an Endogenous agonist at orexin receptors (Ki values are 20 and 38 nM for OX1 and OX2 receptors respectively). Stimulates feeding following central administration and may be involved in the control of sleep-wake cycle and other hypothalamic functions. 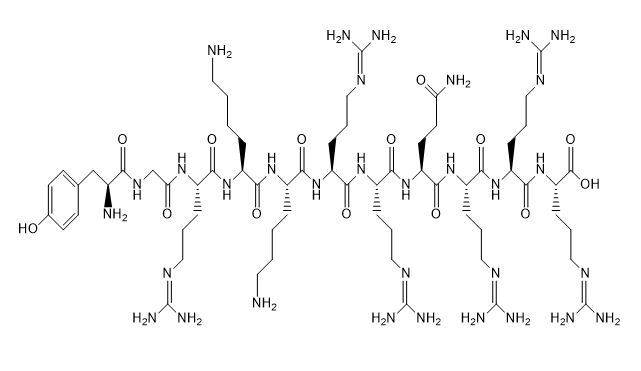 Amyloid β-peptide (25-35) (human) is the fragment of human amyloid β-peptide, functionally required for the neurotrophic and neurotoxic effects associated with Alzheimer's disease.